As announced; we are expecting WordPress 5.0 to be released today, Thursday 6th of December, 2018. WordPress 5.0 will be shipped with the Gutenberg plugin. This considered to be one of the biggest updates happened to WordPress. The good thing is; if you don’t want to use the Gutenberg Editor, you’ll still be able to keep the classic editor by installing the official Classic Editor plugin on your site, and keep doing things the way you used to. Is Schema going to work with Gutenberg? For you as a Schema plugin user, you don’t have to worry about losing your schema.org markup or content ranking. We’ve been testing the Schema plugin with WordPress 5.0 and Gutenberg, and all seems to be working fine. The Schema plugin will continue to work as expected. However, the only impact on Schema plugin is related to the Classic Editor and Meta Boxes. Schema plugin make use of these Meta Boxes to allow you to have control over certain features. 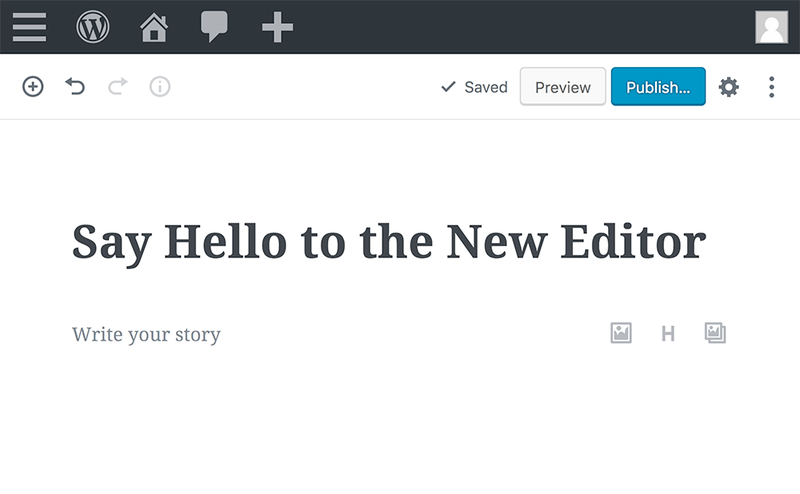 WordPress is going to support the Classic Editor until 2022. After that all Meta Boxes should be moved to content Blocks. Are we going to add Blocks to Schema plugin? The quick answer to that would be: This is not clear yet! Since Schema plugin does not output any HTML -or content- on the front-end, this wouldn’t be necessary. We don’t need to use Blocks for Gutenberg at this time. However, at some point this may be needed. 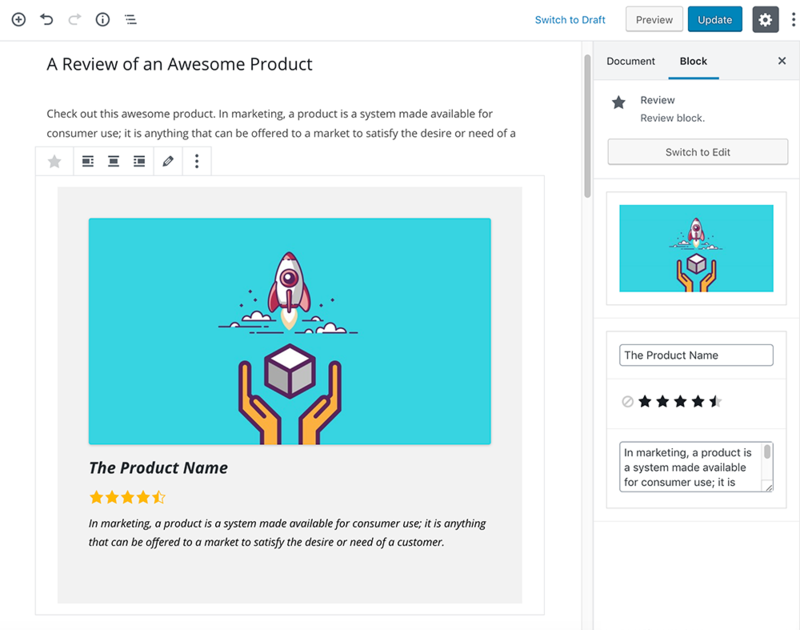 Take for example our free Review extension, it has a Review Meta Box for entering the Reviewed Item Name and Rating. This possibly will be converted to a Gutenberg Block if needed. In the future, we will be releasing a premium version of Schema plugin, which will make use of Gutenberg Blocks in several areas. Each Block shall have its own structured data. So, let’s say you are writing an article and want to insert a review into it, then you can add a Review Block, which will output its schema.org markup by extending the main schema:Article markup output. 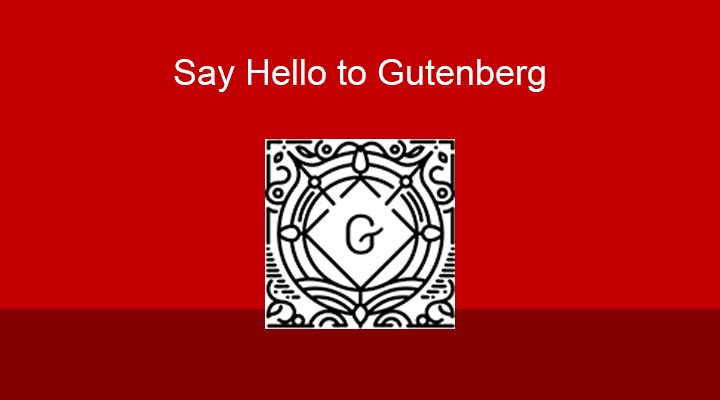 Note: The example above is coming from our experiment and play around with Gutenberg Blocks. Maybe this will change a little when we reach a production release in the future. Don’t worry! Schema plugin isn’t going anywhere, it’s here to stay. We will continue development in the coming years to provide awesome structured data for you all.